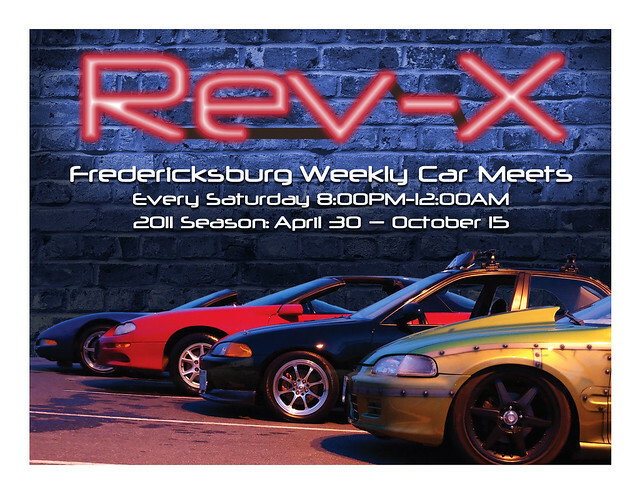 REV-X is held at the Salem Fields Community Church Parking Lots. This is private property; and with over 550 available parking spots, we definitely have room to grow. REV-X last year averaged about 175 cars every weekend and had a peak attendance of 363 one night. We are currently the most successful weekly meet in Virginia. We have become known as "The Church Meet." This is because REV-X is held at a church parking lot. But also, Salem Fields Community Church owns and operates REV-X. They are the equivalent of a corporate sponsor, they pay for EVERYTHING and they put a lot of money into REV-X. And yes, I am a pastor. HOWEVER, you are NOT required or obligated to attend/go to/volunteer at (etc.) this church in any way. We don't bash you with scripture or try to convert you. Those who know me know my circle of friends; those who don't are usually surprised by it. I don't care if you are an atheist, homosexual, hate God, whatever. If you have questions about religion or faith, just ask me. And that is as far as I will talk about religion. I just wanted to put it out in the open. 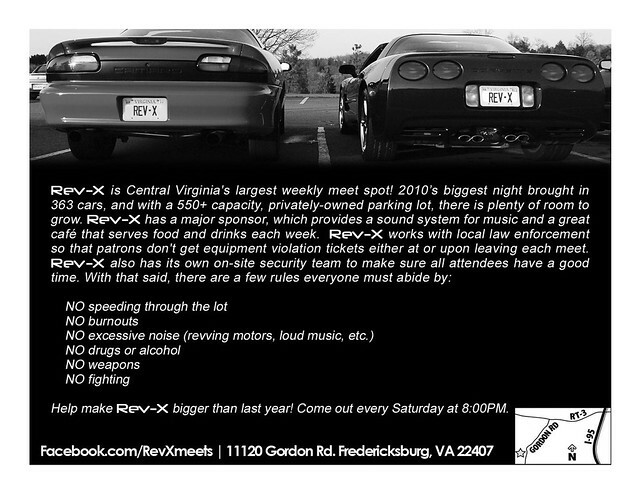 REV-X differs from any other local weekly meet in that we have a corporate sponsor. This has given us some benefits that most other meet allows do not. We have our own indoor full service cafe serving drinks and food. We have indoor bathrooms. We have a pretty stout sound system. And I am writing proposals to vastly improve REV-X. Also we have one vendor/shop that has expressed interest in setting up a booth at REV-X. Salem Fields Community Church has a full time production team, which means if I need help with sound, audio, video, photoshoping, etc. they are available to tackle the job. They are taking on the task of making our new flyers this year. Also, I take on the responsibility of managing and keeping everyone safe, while still trying to maintain a fun atmosphere. All you have to do is follow the rules and have a good time. This will be a 100% drug/alcohol free event. Keep it slow in the parking lot. No revving your motor or blasting your music. We know that people will slip up, so we will in most cases give a warning for people revving or playing loud music, or driving with their lights off. Repeat offenders will be asked to leave. The only reason we have the headlights rule is because last year there was a near accident that would have been avoided if the moving car had it's headlights on. It's more for your safety than anything. Speeding through the lots or Burnouts/Donuts will get you kicked out for the weekend, maybe longer. I am an advocate to the right to bear arms, but Virginia is unique that it is a misdemeanor to have a weapon on church property; these includes knives unless you have written consent from the church or are a LEO. So we had to make it a rule. Punishment? You could be arrested. Fighting will get you kicked out for season. It's simple, we don't tolerate it; however smack talking about your cars is encouraged. Last year when we started I had hoped to work with local law enforcement. It didn't exactly go the way I wanted it, but we did eventually sit down with the Spotsylvania Sheriff's Department and came to an agreement. The Spotsylvania Sheriff's Department is working with us. We have agreed to deny entry to anyone that the Spotsylvania Sheriff's Department asks us to deny, but they can only do it for two reasons. 1) Street Racing 2) extremely reckless behavior. In return they have agreed not to give tickets for equipment violation for people coming/going to/from REV-X. REV-X and Mid-Atlantic Mega Meets are separate organizations; though we do sometimes advertise their events even if they land on the same day/time as REV-X. We'd like to give people options, plus MAMM has some friggin' cool meets. To help distinguish us from them, we have stopped using the term “Mega Meets” and are pushing for Auto or weekly meets. Last year we talked about things like free track days and a burnout pit. Those plans were put on hold due to some complications. We are re-investigating those events. Things like this take a lot of planning and must be budgeted far in advance, I really do hope to do at least one track day this year, but it may not happen due to the planning/budgeting requirements. REV-X and myself has experienced some slander in the recent months. Most of the slander is regarding over bearing rules and penalties and some about us working with the police to get people tickets. None of these are true. To make this simpler, if you have a question about the direction of REV-X or rules or penalties just ask, I'll answer them the best I can. I started REV-X to give the community a positive outlet to express their enthusiasm in cars, bikes or trucks. I did not start REV-X to have the community serve me. Organizing a car meet is a lot of work, I enjoy serving my community, in the same way I enjoyed serving my country. I'll admit that REV-X is still a work in process, but I am keeping fluid and flexible allowing change as I get input from the people that attend. Last year SpecOne.Va brought you another impressive meet at Dicks Sporting Goods located in Woodbridge, VA. Dicks Sporting Goods would eventually put up "No Loitering" signs which stopped the meets at this location. This year Spec One and REV-X has decided to start working together to keep a strong meet going. 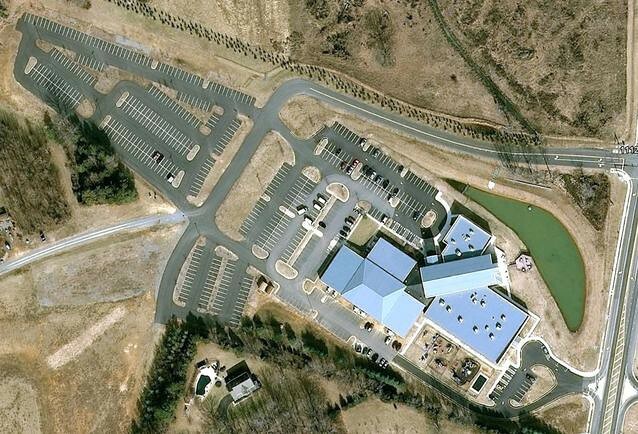 With over 550 parking spots, we will be able to hold this a meet at our spot and still have plenty of room to grow. If both meets can keep up their average attendance from previous years we would have 500 cars weekly. BTW I am not a bot. I MANUALLY entered all of the information (though I cut and pasted the top post). Last year the meet didn't have a single Challenger show up... I was sad. Hoping you guys can helps out here with the Challengers.